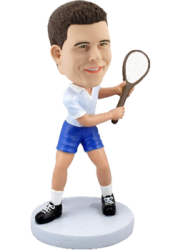 This tennis bobblehead features a man holding a classic wooden racket and ready to hit the flying rubber ball. 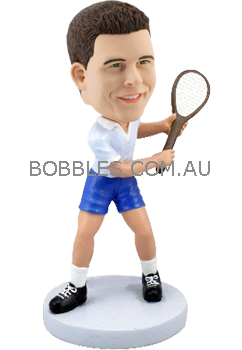 Dressed in blue shorts and tennis shirt, it’s great item to resemble the young age middle age man. 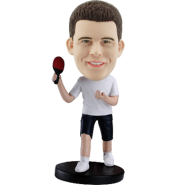 If you have a friend who likes playing tennis or love to watch tennis games, he will be happy to see such a funny gift with his head bobbling atop. 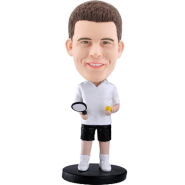 It’s not only perfect Christmas or birthday gift for him but also a inspiring keepsake to his exercising life.